When looking for a job as a forklift operator, several questions are bound to emerge in your curious mind, looking for the right answers. The first question that comes into our mind is about training; second, about insurance and third about the required license. It is not difficult to find answers to these questions. Important is to consider a few factors which will help in getting quick and accurate answers. The most frequent question asked by many people is about the licensing requirement to be performed. The person who is expected to drive a unit may have a query about carrying a state authority issued a proper driving license. The answer to this question is no; there is no need for a permit, provided the operator is not driving the forklift on a public street. In case, he is pushing the forklift on an open road, he will have to carry a proper license as he has to when driving any other vehicle on the street. Similarly, when it comes to the papers of the machine, there is no requirement until it is confined to moving loads on private property. If it is being used to lift loads on public roads, limited licensing is required. Companies rendering forklift certification in Ottawa can answer these questions accurately. It is not very complicated to get a license, certificate or a ticket to drive a forklift. As part of a straightforward and hassle-free procedure is to fill up the form, get enrolled in a training program and finally pass the test with flying colors. Once all these procedures are complete, the person receives a forklift operator certification in Ottawa that certifies him to drive a forklift. He can easily apply for a job as a forklift driver. Many times, the employing companies help incumbents to get necessary training and certification making him suitable for the job. There are certain pre-requisites for acquiring a certification. The first and the foremost is the age of the person which should be more than 18 years. Secondly, a person must undergo OSHA’s safety and training program. If enrolling in a plan for this purpose, care should be taken to ensure that the test should be OSHA-approved. Training and knowledge approved by OSHA mean the candidate knows everything that he needs to know when working as a forklift operator. It ensures that he has a clear understanding of forklift operations. After ascertaining the same, the certificate is issued. Thus, getting a forklift certification in Ottawa is not too tight. One needs to fulfill basic requirements. 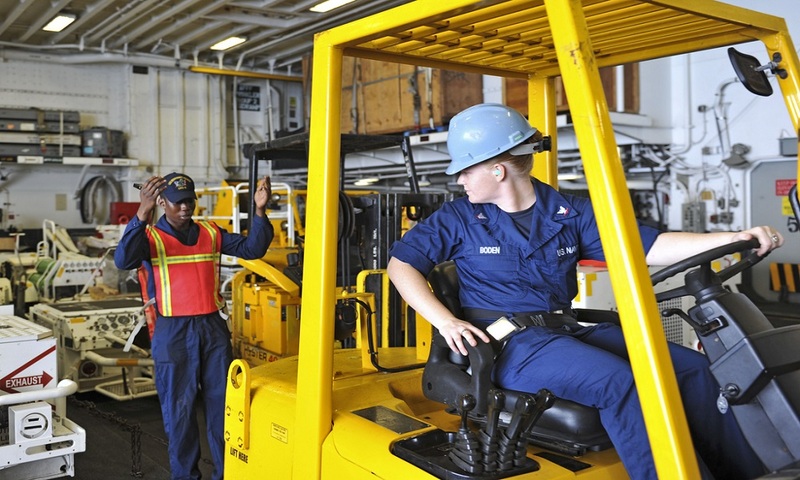 There is no shortage of companies that impart such training to discerning candidates looking forward to pursuing a job as a forklift operator. Prosap Safety Training is one such company that trains candidates and help them acquire a license or certification. The training company operates in close tandem with OSHA and help innumerable forklift drivers to get their licensing and certification matters sorted. The training imparted to them complies with OSHA standards.